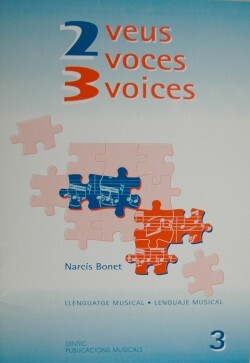 28 pages, ISBN : 84-86949-78-5, DINSIC Publicacions Musicals, S.L. 40 very short exercises (twenty-three with 2 voices and seventeen with 3 voices), targeting the difficulties of rhythm and intervals in progressive manner. Can be sung or played in two or three voices.